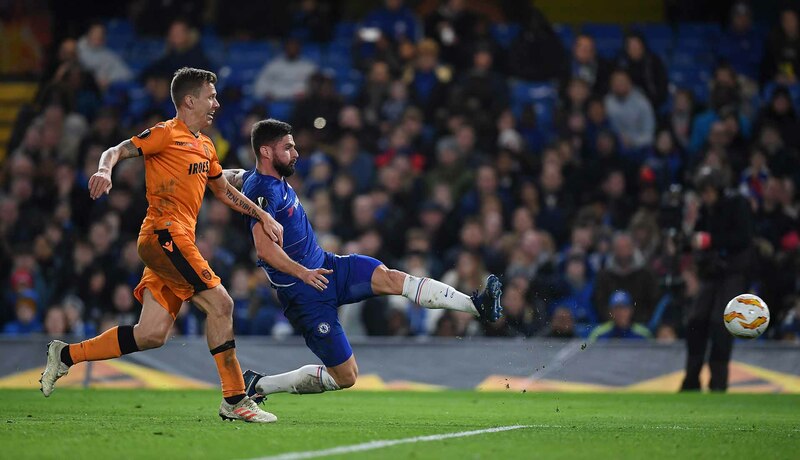 Olivier Giroud scores his team's second goal during the UEFA Europa League Group L match between Chelsea and PAOK at Stamford Bridge on November 29, 2018 in London. The collection for the children who will spend this Christmas homeless and in a domestic violence shelter is going great guns, but every donation counts. You can PayPal donations to [email protected], and they will go not only towards presents but towards much needed items for families and for the group home. If you are at a game (or Legends this weekend) I can collect donations in person – thank you to all those that shoved money into my hand tonight.